Est. 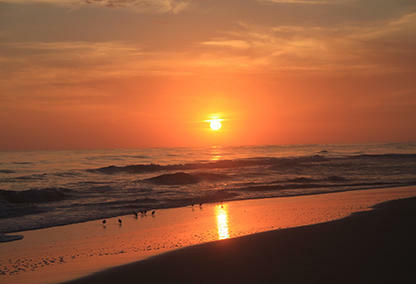 in 1995 & named for the local, native wild herb, Rosemary Beach, FL real estate lies in a “walkable community” with town amenities, beach access & downtown areas all within a five minute walk or bike ride from home. Architectural styles found in Rosemary Beach FL real estate are reminiscent of styles found in St. Augustine, New Orleans, Dutch West Indies & Charleston. An array of specific home types include options for porches, decks, open-air living spaces, courtyards & carriage houses. BOOKMARK YOUR DREAM ROSEMARY BEACH HOME TODAY! Set up auto e-mail notifications to your inbox. Best of all, it's free! Join Now! Rosemary Beach FL homes for sale are purposefully designed as a Planned Community, New Urbanist or Traditional Neighborhood Development (TND). The Town Planners, thoughtfully placed the streets, boardwalks, sand foot paths, interconnected alleys and view corridors all leading toward town center and the beach front. The community features properties similar to New Orleans-style courtyard homes, with front porches or entries that face boardwalks and green spaces or gardens with fountains and rear alleyways to access garages or courtyards. 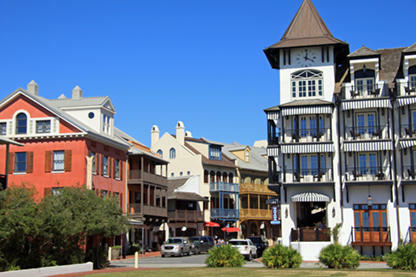 Following the guidelines of New Urbanist towns, Rosemary Beach FL is also known as a “walkable community” where town center amenities and beach accesses are all within a five-minute walk or bike-ride from residential areas. 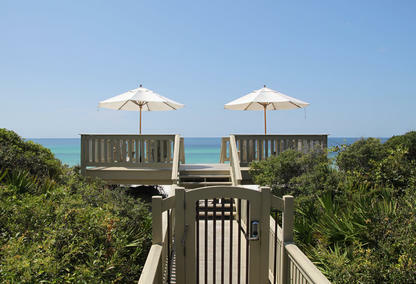 As a planned community, the homes for sale in Rosemary Beach, FL are also extremely well laid out for access to the small town's outstanding amenities. The beach town boasts four community pools: Coquina, Sky Pool (an indoor pool with retractable roof), Cabana Pool and Barbados Pool. The town has its own zip code: 32461. The second Traditional Neighborhood Development (TND) built along 30A. The town was designed by Miami-based Architect Duany Plater-Zyberk & Company. Inspiration for the exterior colors of buildings taken from the surrounding landscape. Named one of the "Best Places to Live in Florida" in 2014, by Florida Travel + Life. Gulf front homes intentionally placed back from edge of high dunes, in order to maintain the fragile dune system. Please feel free to contact us if you'd like to learn more about the Rosemary Beach homes for sale, or to book a viewing. Davis Properties of NW Florida are your local 30A real estate experts with years of experience in the local housing market! © Copyright 2019, Real Estate Webmasters. Listings Site Map	Davis Properties of NW Florida, Inc. serving the 30A Beach communities of Seaside FL, Watercolor, Grayton, Seagrove, Blue Mountain, Seacrest, Alys Beach, Rosemary Beach FL, Inlet Beach, Watersound Beach, Dune Allen, & Santa Rosa Beach.